Home / Knowledge Base / LifterLMS Features / Payments / What is an Access Plan? 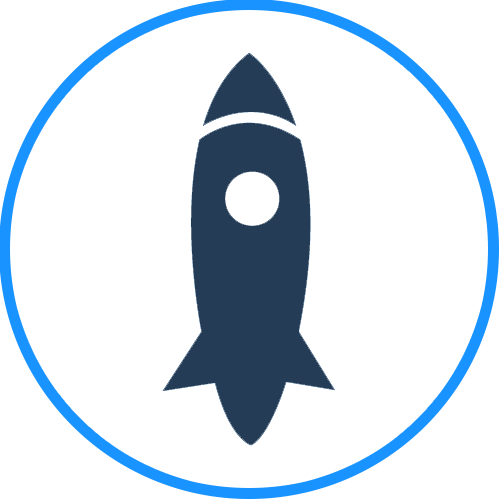 LifterLMS Access Plans are new in LifterLMS 3.0. Access plans allow you to define a limitless number of possibilities for students and members to gain access to your courses and memberships. You can create both one-time and recurring access plans and you can create expirations as well. You can also create special pricing for members of specific memberships. You may create up to 6 access plans for each course and membership. The access plan will not be visible on pricing tables but can be accessed via direct link. Hidden access plans are intended to allow you to create special pricing for targeted marketing efforts. 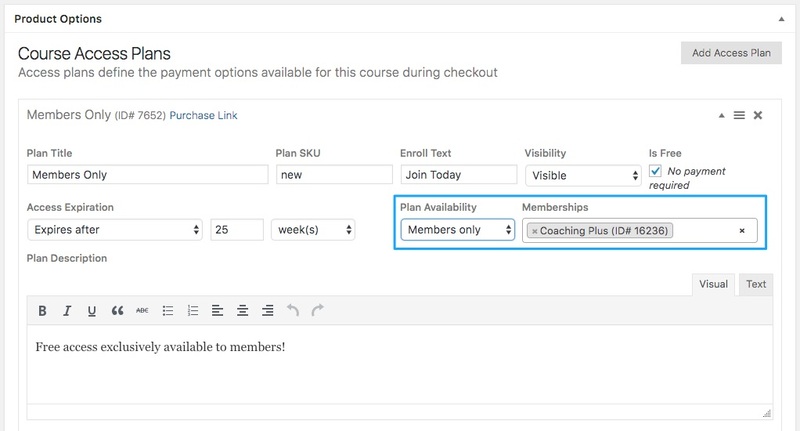 With members only access plans you can create special pricing structures for students belonging to memberships on your site. To create a members only access plan, select “Members only” from the “Availability” option on the access plan then search for and add one or more memberships in the “Memberships” area. 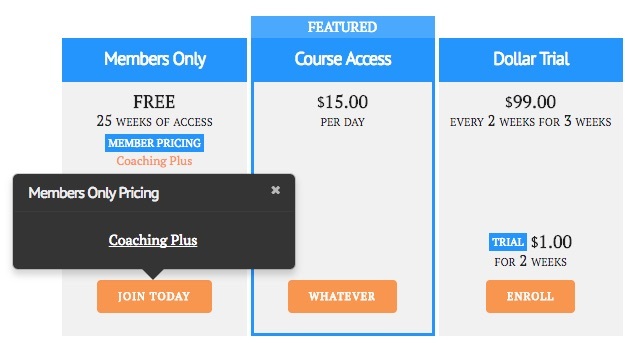 The members only access plan is highlighted with a “MEMBER PRICING” tag on the pricing table. Any logged-in student with access to at least one of the selected memberships will be able to enroll into the course using the members only access plan. Other users will be displayed a popover that provides links to the memberships which they require to use the access plan. 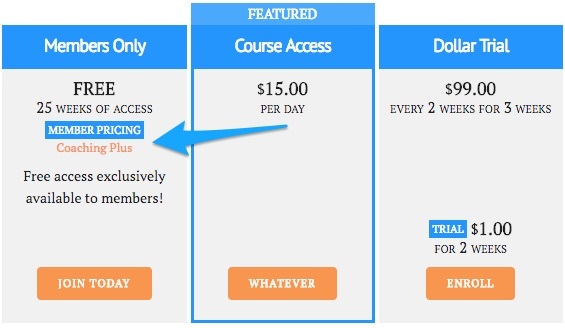 Want to see examples of access plans and pricing models you can use for your courses and memberships? Click here to see 10 examples. 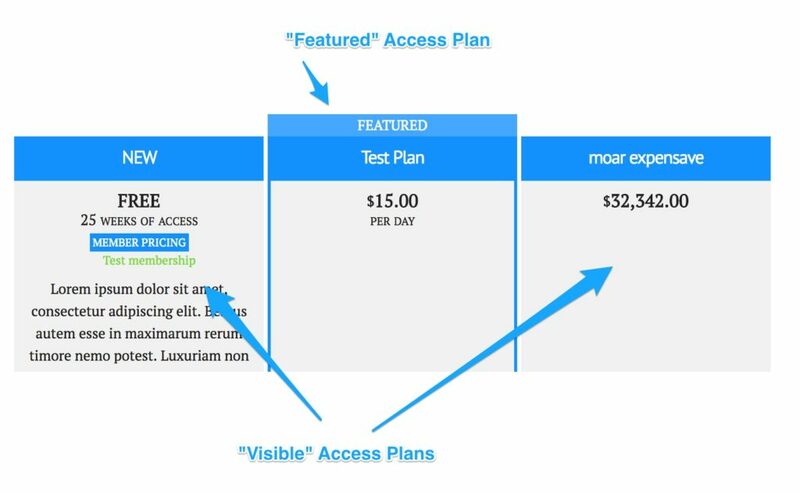 FAQ: Why don't my access plans display on the frontend of the site? LifterLMS will only display access plans that can be fully processed by an installed and activated payment gateway. If there are no gateways that can support the type of access plan it simply will not display on the front end. This is to prevent students from proceeding to checkout only to find that they can’t purchase the plan.